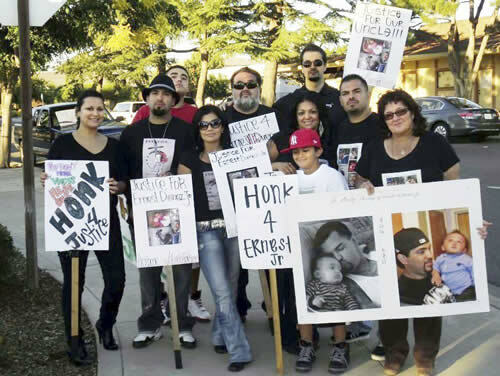 In 2011, Ernesto Duenez was shot 11 times after officers followed him to a Manteca home. Investigators say Duenez was armed with a knife when he got out of the truck, but his family and friends say he was unarmed. 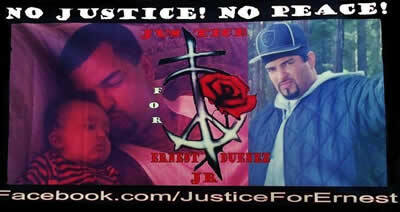 SUPPORT AND LIKE JUSTICE FOR ERNEST DUENEZ JR.
back up. He rushed in guns blazing with children and families where he discharged his weapon within city limits. Would Officer John Moody shoot at someone who was standing in front of his home with his wife inside? his wife. Manteca Police Department did their own investigation and as usual when friends investigate friends it was found Officer John Moody did nothing wrong and was never jailed, polygraphed, drug tested or even prosecuted. In fact Officer John Moody received a paid vacation in the form of a full pay leave.